In Piano Parallels, concert pianist Cyrill Ibrahim will be exploring the relationships between classical music and piano playing with crafts people from different paths of life. It promises to be an exciting journey through the world of true craftsmanship. In Piano Parallels, an array of artists, writers, dancers, musicians and politicians will make an appearance to share their stories and find common grounds with Cyrill’s profession. Repertoire and Guests to be announced. Cyrill Ibrahim completed a Master of Performance degree at the Royal College of Music under a full scholarship awarded by the government of The Netherlands. He has gone on to perform at a number of major venues including the Concertgebouw in Amsterdam, St John’s Smith Square in London and the Philharmonie in Berlin. Cyrill became ‘Artist of the Week’ on BBC Radio 3 shortly after the release of his first album, Dialogue. He has also appeared on The One Show and recently played live on Radio 3’s In Tune. Cyrill has worked with renowned pianists such as Maria João Pires and Steven Osborne. The Daily Telegraph named him: 'One of the most exciting pianists of his generation'. Cyrill is also a digital influencer with over 40K followers. 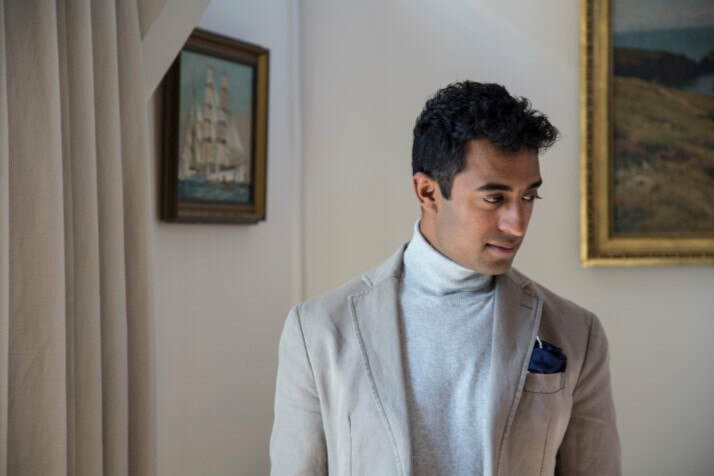 He has developed an elegant, sophisticated and cultured approach to his lifestyle which is connected to his blog; 'The Cultured Gentleman'. He strongly believes that creativity and craftsmanship should be at the core of all he is portraying.